This program is a two-part program that stresses responsible pet ownership and basic good manners for dogs. 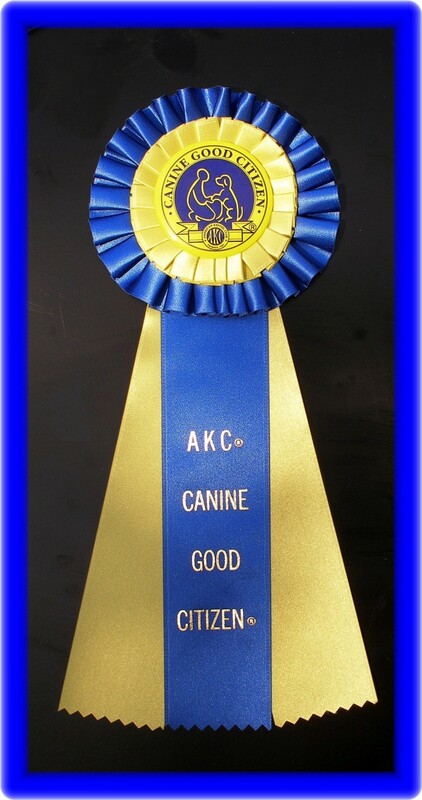 All dogs who pass the 10-step CGC test receive the certificate from the American Kennel Club. Most of our clients choose Canine Good Citizen training as part of their new canines education. The Canine Good Citizen Program lays the foundation for other AKC activities such as obedience, agility, tracking, and performance events. Remember, education enhances the bond between dog and man. We sincerely hope that CGC will be only a beginning for you and your dog. After passing the CGC test, we hope you'll continue guiding the dog through the complexities of life in the world of its human family through obedience, agility, tracking, or performance events. Doing this for you and your dog is a bonus that further builds the bond between two- and four-legged 'friends'. AKC's Canine Good Citizen® (CGC) is one of the most rapidly growing programs in the American Kennel Club. There are many exciting applications of this wonderful entry level that go beyond the testing and certifying of dogs. Many other countries (including England, Australia, Japan, Hungary, Denmark, Sweden, Canada, and Finland) have developed CGC programs based on AKC's CGC Program. A CGC Neighborhood Model has been established. Police and animal control agencies use CGC for dealing with dog problems in communities. Some therapy dog groups use the CGC as a partial screening tool, and some 4-H groups around the country have been using the CGC as a beginning dog training program for children. A number of specialty (one breed only) clubs hold the Canine Good Citizen Certification at their annual national dog show. Dog clubs have discovered that the CGC is an event that allows everyone to go home a winner. Veterinarians have recognized the benefits of well-trained dogs and there are some CGC programs in place in veterinary hospitals. State legislatures recognize the CGC program as a means of advocating responsible dog ownership. 22 states now have Canine Good Citizen resolutions. In a little over two decades, the Canine Good Citizen Program has begun to have an extremely positive impact in many of our communities. This is a program that can help us assure that the dogs we love will always be welcomed and well-respected members of our communities.